This article is about the musician and journalist. For the actor, see Sean Nelson (actor). For other similarly named persons, see Shawn Nelson (disambiguation). Sean Nelson (born June 12, 1973) is an American musician, journalist, music critic, and filmmaker. He is best known as the lead singer of the alternative rock group Harvey Danger and as the arts editor for The Stranger newspaper in Seattle, Washington. Nelson is a graduate of Episcopal High School in Alexandria, Virginia and was a classmate of Paul DePodesta and Courtenay Bram Anderson. Nelson formed Harvey Danger in 1993 and played with the band through to its farewell show in 2009. In addition to being the band's lead singer, he was also its songwriter and keyboardist. The band's debut album Where Have All the Merrymakers Gone? was released in 1997 and was certified Gold by the RIAA for sales of 500,000 copies. The album contained the hit single "Flagpole Sitta", which was featured in the 1999 film American Pie and was later used as the theme song for the British sitcom Peep Show. In 2001, Nelson formed a second band, The Long Winters, with John Roderick. He left the band in 2004, and Roderick has continued the group as a largely solo effort. Nelson has also recorded and performed with Death Cab for Cutie, The Decemberists, Robyn Hitchcock, Nada Surf, The Minus 5, and others. In 2006, he recorded Nelson Sings Nilsson, an album of songs by the late American composer Harry Nilsson, accompanied by a 25-piece-orchestra. Nelson was also a member of the short-lived side project The Vernacular, along with Chris Walla and Nathan Good of Death Cab For Cutie. On June 4, 2013, Nelson released his first official batch of recordings to bear his name, Make Good Choices, which includes contributions from Chris Walla (Death Cab for Cutie), Peter Buck (R.E.M./Minus 5), Matt Pence & Scott Danbom (Centro-Matic), Howard Draper (Shearwater), Dave Depper (Loch Lomond, Fruit Bats), Rachel Blumberg (The Decemberists/M. Ward), Adam Selzer (Norfolk & Western), Steve Fisk (player: Pell Mell, Pigeonhed; producer: Nirvana, Beat Happening, Unwound), and others. Sessions arose over the course of several years between Nelson and his collaborators' other projects. Nelson joined the staff of the Seattle alternative weekly newspaper The Stranger in 1996 while still a member of Harvey Danger. He has held several positions at the publication, including web editor, film editor, copy editor and associate editor. He is currently the paper's arts editor. In 2006, Nelson published his first book, an entry in the 33⅓ series on Joni Mitchell's Court and Spark. His essay "Dead Man Talking" was published in the Da Capo anthology Best Music Writing 2008. In addition to his writing work, Nelson has taught a songwriting class at the University of Washington Extension and co-hosted Audioasis on KEXP-FM for five years. In 2008, Nelson co-wrote and played a supporting role in Humpday director Lynn Shelton's third feature film My Effortless Brilliance, which enjoyed a successful run on the film festival circuit and was released on DVD by IFC Films in November 2009. He has also acted in David Russo's cult film festival hit The Immaculate Conception of Little Dizzle and alongside Dax Shepard in Kathryn Aselton's The Freebie, which was released in September 2010. 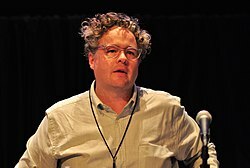 Wikimedia Commons has media related to Sean Nelson. This page was last edited on 6 March 2019, at 16:13 (UTC).